Hello all and happy Friday! I took a bit of a blogging hiatus over the past week for several reasons, 1) moving and getting the old house ready as well as getting the new house somewhat ready for houseguests, 2) my Illinois BFF got married yesterday!, and 3) I just needed a little time to reassess things and where I’m at on a number of levels. I’m not going to lie; I’ve been struggling a bit personally. I’ve been working a lot to stay mindful and trying not to let the negative thoughts get to me, which meant that I needed to take a little bit of a break to refocus. 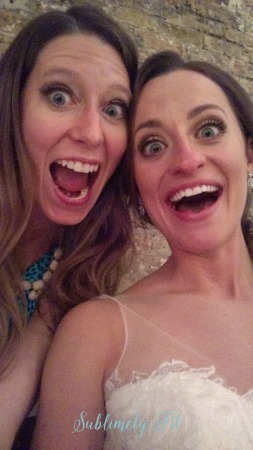 Obviously, the top thing I’m loving is getting to see my Illinois BFF Olivia get married. She has been such a godsend to me and I’m so honored that I was there to witness her and her new hubby commit themselves to each other. It was a beautiful, touching, and funny ceremony and was absolutely perfect and 100% “them.” I can’t wait to have married couple dates with them (instead of our just plain couple dates) and to have a girl date to celebrate with a crap ton of champagne, because that’s how we roll. I also loved the food they had at the reception! Tacos (so sorry I didn’t take a photo; I was too busy stuffing my face) and doughnuts for dessert. Oh my gosh, yum. This is why you must go to weddings where two foodies are getting married. Another favorite: having all of our stuff at our new place. We officially moved the rest of our stuff over this past weekend. We’re still unpacking because we’ve had a lot of things to do otherwise (Scott’s been doing some minor painting and small projects at the old house and I’ve been partying with the former bachelorette and picking up extra classes). There are worse views I could have. We do have a very pretty (small) lake by our new place which I think we’re really going to enjoy, especially when the weather gets warmer. It will be perfect for taking the dogs on long walks. 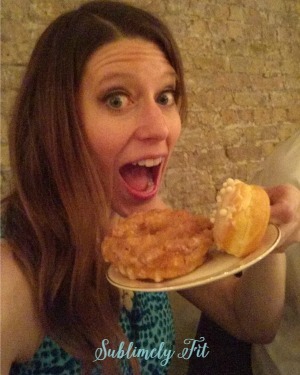 A wedding with tacos and donuts? YES PLEASE! OMG, Donuts?! What a great idea! Congrats on moving. It is always so much work and life always seems out of sort , but I always find it worth it! Have a good weekend! Congrats to your friend, and to you for being in the new house! Can’t wait to see pics! Good luck setting up! Yay glad you’re settling in. I’m also glad you were able to take a step back for a bit. 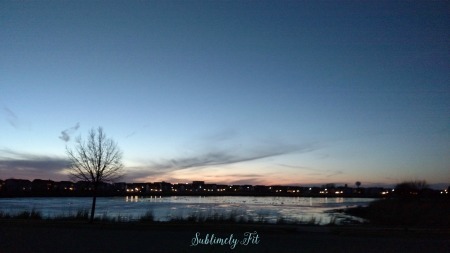 I saw the beginnings of a post that I think you ultimately took down (darn waiting too long to read blogs! ), so I figured something was up. I’m glad to see your shining face though! I personally love weddings (give that you have a connection with the people getting married, otherwise it is a bit of a chore). I am not a super romantic or sappy person, but I will put on my sappy pants in that case. You and the bride both looked gorgeous! I feel like we are in a similar boat! My husband and I just recently bought a house as well and have been so busy packing moving and unpacking. We still a box around here and there. And we have tons of painting to do!! I hardly can get to blogging everything else it just seems to fall apart sometimes. I’ve been struggling personally with a little low self-esteem and depression, and anxiety. I think it’s necessary to take a break from all social media in fact. On a brighter note, your friend’s wedding pictures are so cute I’m glad you got to enjoy that time with your friends. That’s what counts most in life! I loved your pictures from her wedding.